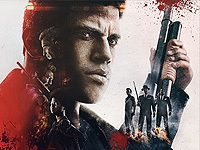 Mafia 3 is set in the year 1968, and revolves around Lincoln Clay, a black biracial orphan. As a boy, he was adopted by black mobsters and later served in the Vietnam War as a special forces soldier. After being discharged, he returns to New Bordeaux (a fictionalized version of New Orleans) and reunites with his friends in the black mob, led by his surrogate father Sammy Robinson. However, an ongoing turf war between Sammy's gang and a rival Haitian gang has put him in debt with Sal Marcano, the Don of the Marcano crime family. Lincoln meets with Sal, who insinuates that Sammy is no longer fit to rule the black mob and suggests Lincoln take his place. However, Lincoln refuses, and to pay back the debt, he works with Sal's son Giorgi to rob the Louisiana Federal Reserve. The heist is successful, but Sal betrays the black mob and has Sammy and all of Lincoln's friends killed. Lincoln himself is shot in the head and left for dead.